Lin hasn't had a Mustang since her 68 coupe , back in 1970. So when the six speed MINI didn't work out for her, ( more than she needed in traffic ). We decided to sell it . Also sold the Harley Sportster . We knew it was time to move on with that as well . Getting too old for two wheelers . Time comes when you have to move on . Sold the enclosed trailer along with it . 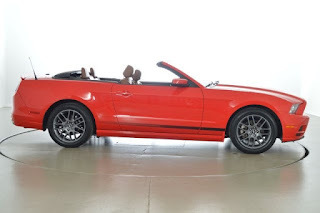 This would allow us to purchase a late model Mustang convertible . I decided it had to be RACE RED . 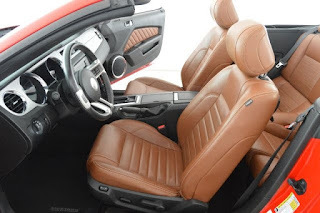 Lin decided that it had to have the SADDLE LEATHER interior . 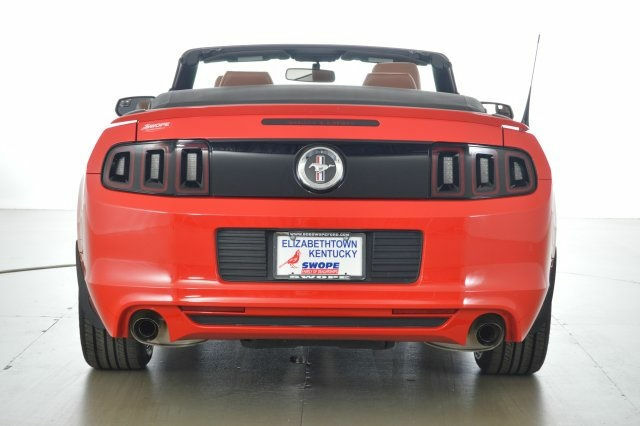 We also wanted it to be either a Pony Pkg or better still , an MCA edition . I really didn't want to have to travel more than 600 miles one way , to make the purchase . Not easy to find . Spent almost four months to locate the one that fit all the criteria . Price was also a factor . Found this one in Kentucky . Long drive in two days last Sept . The first five pictures that follow , were taken by the dealer , before we went to get it . Rear and right side . 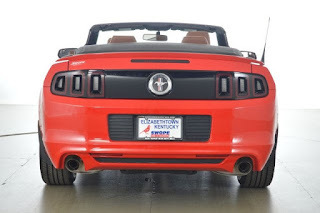 Rear with dealer plate . 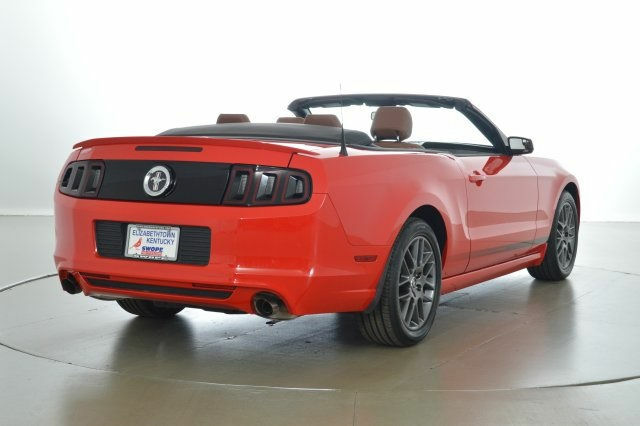 As you can see , this is a very special Mustang . The M C A Edition has some unique features not found on any other factory built Mustangs . Billet upper and lower grille inserts. 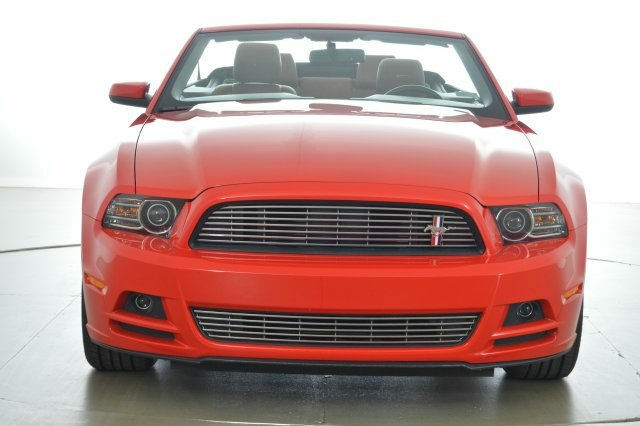 Mustang badge in upper right grille . Fade away M C A stripes on both lower sides . Custom painted 18 inch wheels . The M C A editions also share in the package with the Pony editions the following . Factory mounted lower fog lights , and the rear deck spoiler . 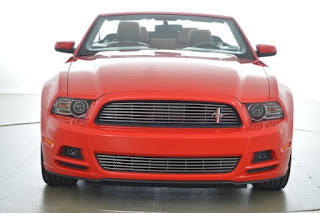 In 2013 Ford only produced 92 M C A convertibles in RACE RED . And of the 92 , only six with the SADDLE LEATHER interior . No wonder it took more than four months to find one ! 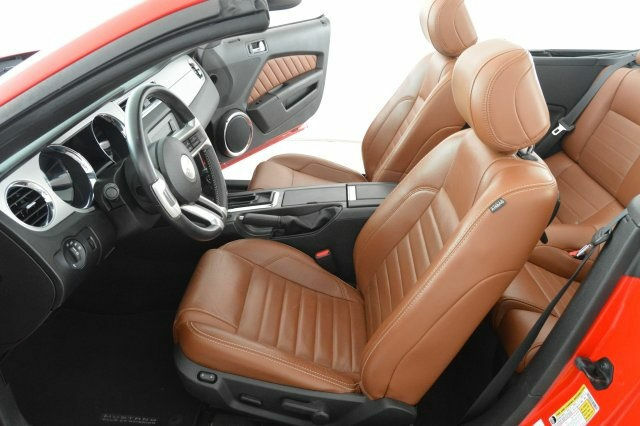 M C A Editions only came with the 305 HP V6 . This one has the shiftable six speed automatic transmission . Lin is very happy with this six speed . She has not put a lot of miles on it yet , didn't use it at all in the winter . It seemed real happy in the barn . Did take it to the all Ford MCA Show in Little Rock late last Sept . Before putting it away . M C A Regional Show at Crain Ford Little Rock . Missed a really nice local show last month because of weather . It was 95 degrees and extremely humid , so decided not to go . Not a lot of shade at the shows . Hope for cooler shows to come . The plate , (TAG) that Arkansas issued to it was ok , but just generic . We wanted a plate that would be special to this model . M C A centered was available so we put in for it . Got it in about four weeks total . We think it looks good on it . Sitting in the barn sporting the new tag . This brings us up to date , on Lin's Mustang , We hope to have more to post soon .